As facilities engineers and operators know, a Corrosion Under Insulation (CUI) mitigation plan is critical to combating the problems that arise from wet insulation and CUI, such as process instability, reduced outputs, loss of containment, and personnel safety incidents. Nevertheless, though many engineers do prescribe the use of water-repellent materials on equipment operating in the CUI range (-4 to 175°C, or 25-347°F), the practice is far from universal. Some of the reluctance undoubtedly stems from cost sensitivity, since water-repellent insulation materials are generally more expensive than their water-absorbent cousins. 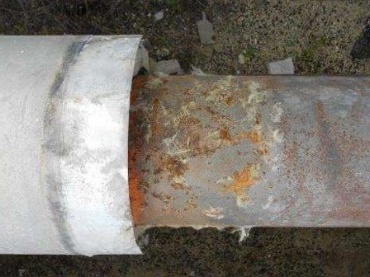 Such sensitivity is often misplaced, as the cost, hazard, and disruption of even one corrosion event can far outweigh any savings – real or perceived – on insulation materials. Another barrier to the effective use of water-repellent materials is simply the general lack of comparative material data for different insulation products. Although previous authors have addressed the pros and cons of various insulation materials, the approach has typically been one of cataloging CUI outcomes within operating facilities. While those insights are invaluable, they don’t allow the isolation of specific variables or mechanisms – of which there are many – because they are basically uncontrolled experiments. Download our white paper "The Influence of Insulation Materials on Corrosion Under Insulation" to discover how important your choice of insulation really is in combating CUI, and how Aspen's hydrophobic, breathable insulation can help defend against CUI in your facility.